Consumers today have so many options regardless of what product or service they’re looking for, and for marketers, it’s really important to use available data to better understand how to meet consumer needs and influence behavior. By understanding what consumers are really looking for, and how they behave when searching out products or services, marketers can work on targeting the right audiences in the ways that will really appeal to them. 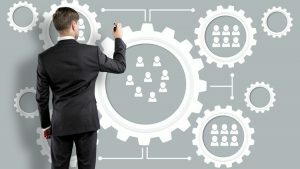 By tracking behavior and predicting how consumers conduct their searches, marketing firms are able to narrow down exactly how to target the right customer, so that the supplier benefits in finding a customer, and the customer benefits as they are able to find exactly what they are looking for. 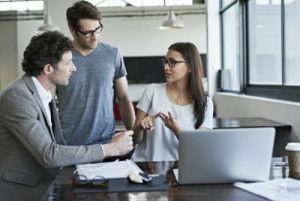 In analyzing data and identifying consumer trends, marketers are able to build models that will help launch marketing plans that reflect changes and consistencies in consumer behavior, to help plan for future marketing initiatives. 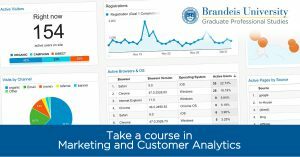 For those interested in this fast-paced industry, Brandeis GPS is offering a course for the spring 2017 term in Marketing and Customer Analytics. The course will provide an introduction to advanced analytics and measurement in the areas of social networking and media, web and marketing analytics. The topics covered include the history, tracking, performance, optimization, metrics, analysis, visualization, decision making, reporting and best practices in each of those three areas. E-commerce will also be covered as it relates to web and marketing. Where to start: If you are struggling with the essay format, it may be easier to jot down bullet points to answer the questions in an outline. Once you have the basics down, you can go back and reformat. Don’t tell us, show us: This is your place to show the committee why you are a great candidate! Give specific examples to highlight your experience and accomplishments. Don’t be afraid to share personal anecdotes about your personal journey to this master’s program. Answer the questions: Once you write your first draft, make sure to refer back to the questions asked in the prompt. Were they answered fully? Review and revise: Grammar, punctuation, flow and spelling are important! Have a friend or colleague read over your essay before you submit. As always, our team is happy to answer any questions you have throughout this process! Contact us at 781-736-8787 or gps@brandeis.edu. GPS is excited to share today a new policy that will offer military veterans, active-duty personnel and their spouses a 15 percent tuition discount on our online graduate programs and courses. The discounts may be used in conjunction with other benefits earned through the Department of Veteran Affairs, such as the Post-9/11 GI Bill® and the Yellow Ribbon Program.With this policy, we aim to empower academic and professional success within the U.S. military community. If you’re interested in seeking spring 2017 admission, please submit your application by Dec. 13, 2016. You can also take individual courses for professional development without submitting an application. Registration for the 10-week spring 2017 term opens on Dec. 20, 2016, with class beginning Jan. 18, 2017. Visit www.brandeis.edu/gps for more information. In a recent article on the growing momentum among Boston’s financial start-ups, the Boston Globe profiled GPS faculty member Sarah Biller and her work within the FinTech sector. Biller discusses FinTech trends among millennials, and how she’s adjusting the content of her Evolution of Technology for Financial Services course to explore how the changing presidential administration may impact the industry. Read the full article here, and request more information about studying FinTech at Brandeis here.